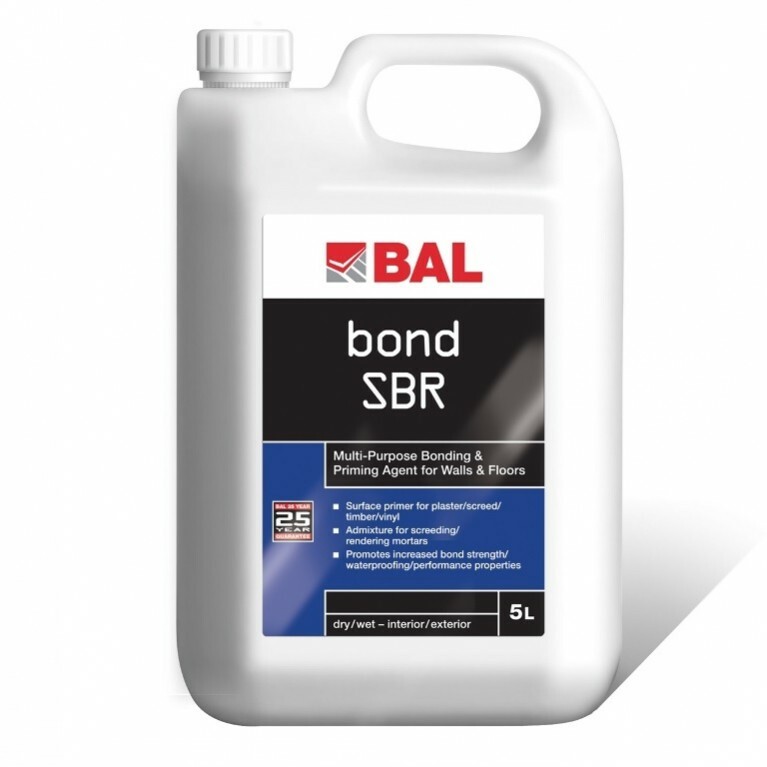 A cementitious non-slip wall and floor adhesive, BAL Supercover Rapidset provides outstanding yield and sets in double quick-time – suitable for grouting after only two hours. 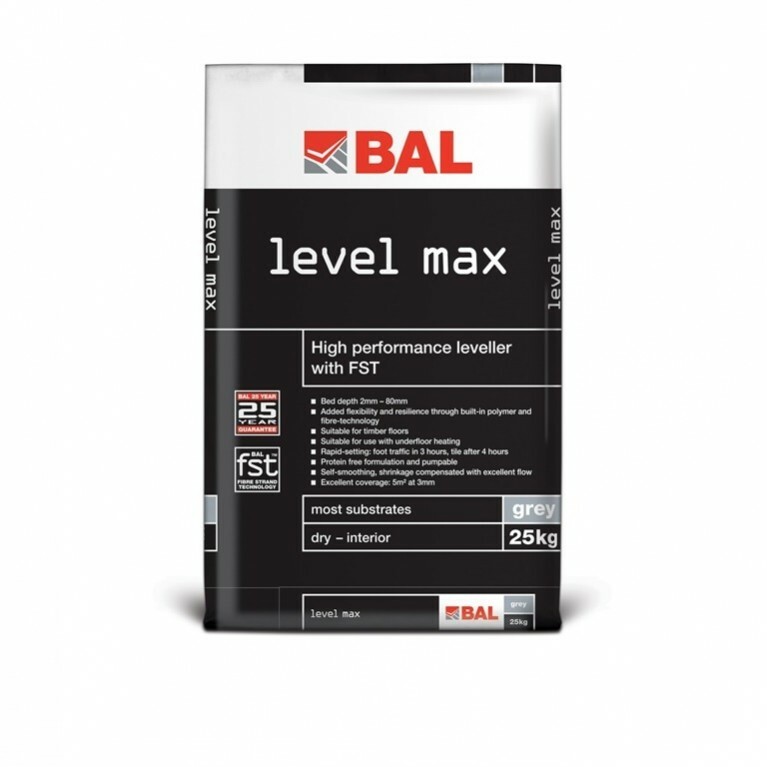 Providing an extended open time of 20 minutes and pot life of 45 minutes, BAL Supercover Rapidset is suitable for fixing ceramics, porcelain and vitrified tiles, mosaics, certain natural stones, terrazzo, rigid foam insulating materials and brick slips in dry or wet interior and exterior environments. 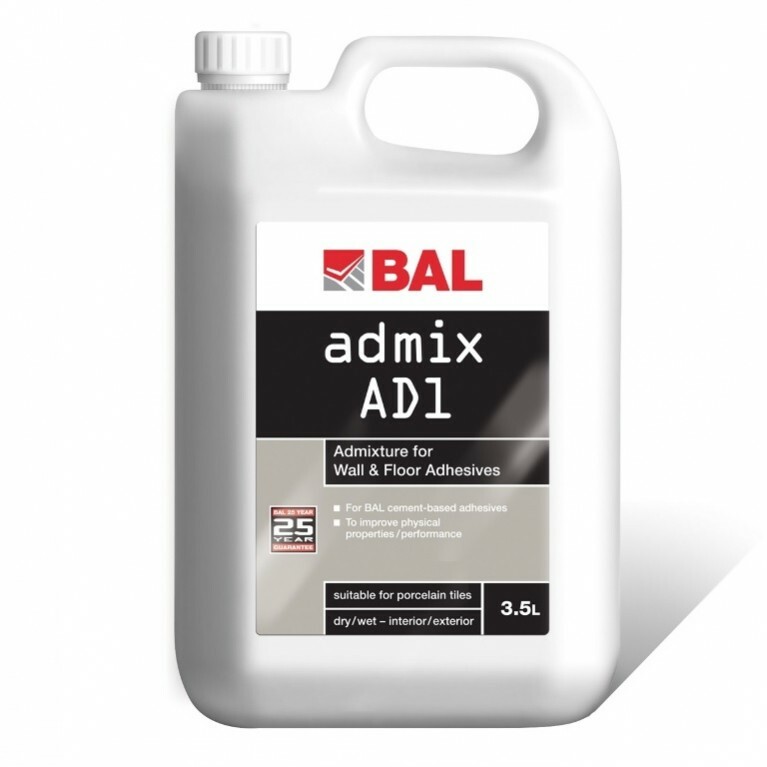 Also recommended for large format wall tiles and showers. 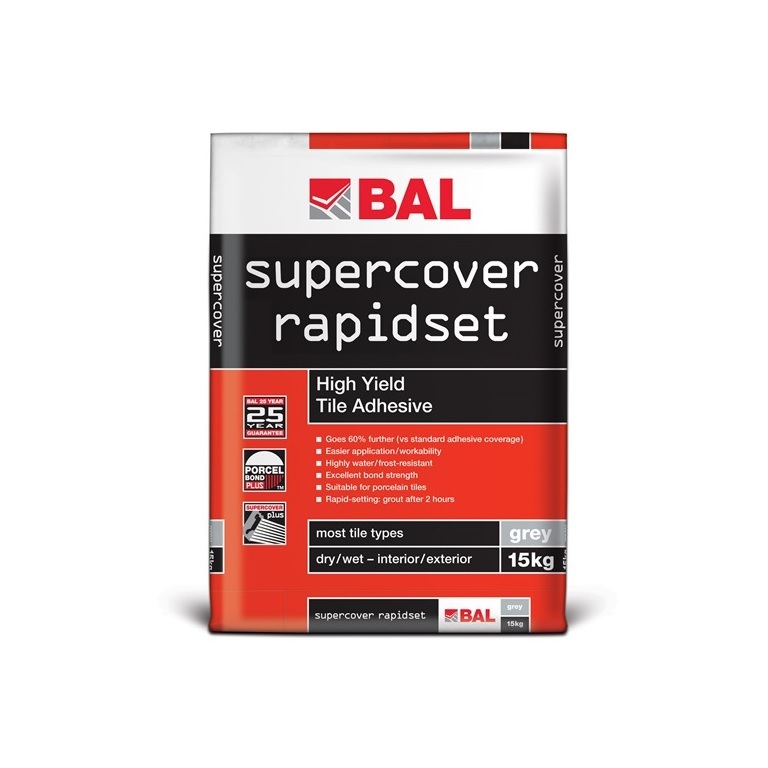 For customers looking to complete large installations quickly, then BAL Supercover Rapidset is the adhesive to recommend. 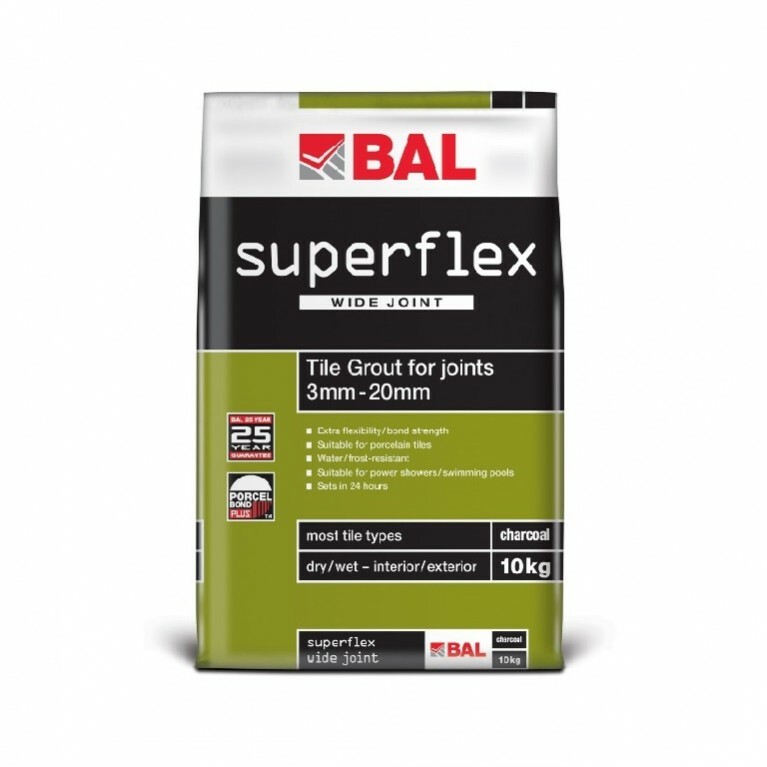 BAL Supercover Rapidset provides high yield, with typical coverage of .96m2 per kg with a mosaic trowel and has quick drying capabilities. 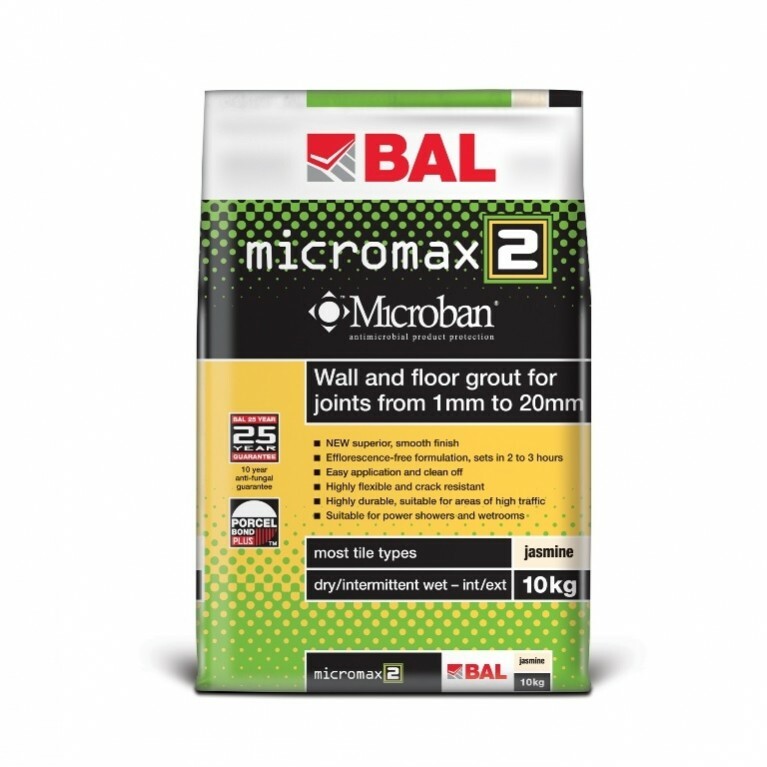 BAL Supercover Rapidset is suitable for commercial and domestic projects but not areas of total immersion, heated screeds or limited movement/vibration unless modified with BAL ADMIX AD1 for extra flexibility. Available in pack size 15kg and colour grey.